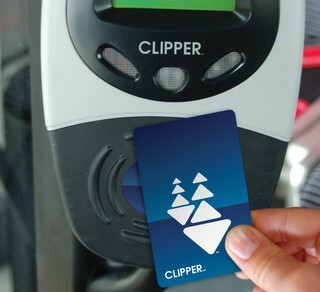 The Metropolitan Transportation Commission (MTC) is meeting to address the growing number of privacy concerns circulating around the Clipper card, the reloadable contactless smart card used for electronic transit fare payment in the San Francisco Bay Area. 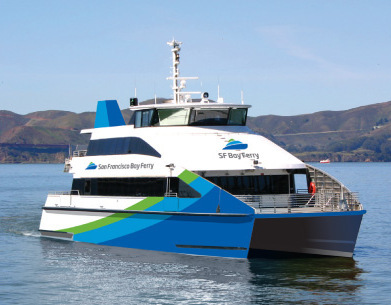 According to the San Francisco Examiner, the duration for which regional officials can keep personal information obtained by the Clipper card system is currently up to seven years. However, some local policymakers and rights groups have said this retention time is an invasion of people’s civil liberties. There is particular concerns following reports that law enforcement officials had subpoenaed the records for criminal and civil cases. The MTC says it has received search warrants or subpoenas seeking customers’ personal travel information since the card’s inception in 2010. In April 2012, this information resulted in the arrest of a suspect after a gunpoint robbery at a Lombard Street business. The MTC is scheduled to vote on reducing the retention from seven years to 4.5 years. The commission originally considered reducing the retention term to three years but the state’s statute of limitations for claims concerning Clipper card payment disputes is four years, so that alternative was dropped. The 4.5-year time period was decided as the best compromise, according to the commission. Along with reducing the retention rates for Clipper card holders, the MTC will reinforce its policy of only sharing the personal data with its partner transit agencies, the card’s manufacturers, the California Department of Justice and other sources when legally necessary. Clipper customers do have the option of using the card anonymously by paying cash or not registering it to a credit card. California Assemblyman Raul Bocanegra, D-Pacoima, has introduced a bill that would reduce retention rates to six months for personal data collected by electronic fare media. The MTC has taken a position of opposition to that legislation.